I offer a friendly, patient, professional and affordable 1 to 1 Drum tuition. I'm based in Birstall - West Yorkshire located just 3 minutes from Junction 27 (M62 near Leeds IKEA). I have over 10 years experience playing numerous styles including; rock, metal, pop, hip hop, indie, blues, classic rock and jazz/swing. I can also teach drumming styles from a mixture of modern + classic rock bands such as; Green Day, Blink 182, Led Zeppelin, Phil Collins, The Who and The Beatles. My lessons are informal and based around having fun and enjoying playing the drums as I believe students learn faster when they are having fun! My lessons are 100% catered to your needs and goals whether you're in a band, wanting to learn your favourite songs or just wanting to play the drums for fun or relaxation. I can teach Rockschool drum grading if required. 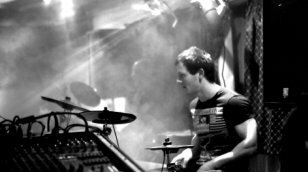 The drum studio accommodates 2 professional drum kits, coffee and tea making facilities, seating area for family / friends to sit in on the lesson and a relaxed environment. All equipment is provided, and students do not need a drum kit at home to take lessons. I can come to you if required for a small fee based on travel time. (Subject to availability). Because I teach full time and not just part time in the evenings/weekends I take pride in the progression of every single student I have and make sure that they enjoy the lessons and leave feeling inspired to practice. I also teach music production, band recording tuition and run a Pro tools beginners course for anyone studying music technology at; GCSE, A Level or University level. Friendly, Fun, Patient, Motivational and Informative. I treat all the people I teach as individuals as everyone is at a different stage in their drumming journey and has different goals and ambitions - Whether it be to play for fun, relaxation or to play in a band or to build up studio experience as a sessions drummer. I aim to make all my students feel as ease and bring out the best in them, while motivating and inspiring them to become better drummers whilst having fun in the process. I can also provide personal daily / weekly practice plans for all students if they require it. JamesFrom Karen (5/5): Very patient and makes the lessons interesting. Very good at explaining the different aspects of drumming.